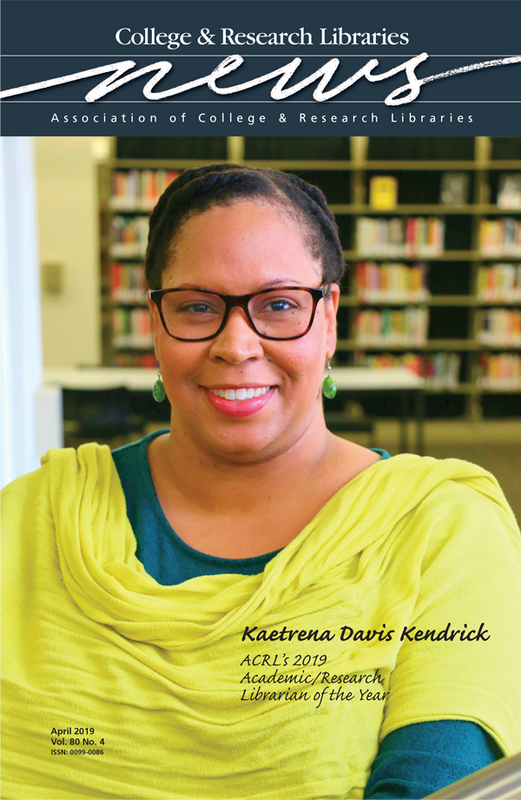 Kaetrena Davis Kendrick, associate librarian at the University of South Carolina-Lancaster Medford Library, is the 2019 ACRL Academic/Research Librarian of the Year. Kendrick exemplifies today’s academic and research librarian through her tireless dedication to the profession both at her local library and on the global stage. Working at a small academic library with only one other librarian, she has sought new and innovative ways to serve her campus community. Outside of her home institution, Kendrick’s service orientation is shown in a wide range of publications and presentations on topics including equity, diversity, and inclusion in librarianship.